All businesses and workplaces in Nova Scotia are expected to comply with Nova Scotia Occupational Health and Safety First Aid Regulations. The level and type of first aid kit required for your workplace is determined by the number of employees on staff at any given moment. Its important to ensure that all first aid kits and safety supplies are restocked and up to date. 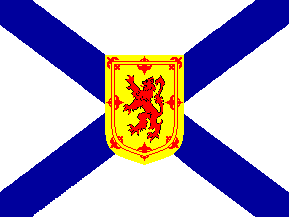 Our Nova Scotia first aid kits meet or exceed N.S. OHS first aid kit requirements, ensuring your staff is prepared for any workplace accidents and injuries. For more information please visit the Nova Scotia Occupational Health and Safety First Aid Regulations. First aid kit # 1 - Minimum requirement when a full time employee is out of reach of assistance. First aid kit # 2 - Between 2 and 19 employees on any one shift. First aid kit # 3 - Between 20 and 50 employees on any one shift. Or choose our DELUXE first aid plus metal station for more than 20 employees per shift.